Outreach and Training Fellow, Sarah, shares some of her reflections about the DPOC project as it draws to a close. Note: she wrote this post on a sunny day in September, before she left for maternity leave. She wants everyone to know things may have changed a bit by now. It’s a sunny, cool autumn day in September. It is my last day before maternity leave. The project will continue on for another three months, but for me this feels like the end. By the time this is posted, it will be a cold winter day in December and the future of DPOC might have changed. I hope the next few months will bring more announcements, more ideas and more changes. It seems like just yesterday we were picking a name for the project. Suddenly I am depositing datasets and publications as we begin a massive self-archiving component of the project. Things are starting to wrap up and it feels a little strange. So, I am going to take some time to reflect on what I have learned during the project not just from Oxford, but the wider digital preservation community. It is so easy to just run to technology to solve a digital preservation problem. After all, our collections are digital so the solution must therefore be digital. This means that people are constantly being undervalued, overlooked and not given the opportunity to learn in a field that is always advancing. Technology has a place of course; they are our tools. But that’s just it, they are tools. Tools do not use themselves to their own ends. We need people to use them, to check them and to maintain them. Even in digital preservation, people have a place and we need to accept that. I’m not saying that to ensure we all have a job in the future, I’m saying that because people are the ones that make the decisions, run the quality checking processes and write the documentation. Whatever digital preservation may look like in the future, it needs to have people in it. Technology alone won’t save us. Because of the previous point, it often means that existing staff are stretched to capacity. Not even with digital preservation work necessarily, but any digital work in general. It means there’s no time to advance skills or answer complex questions. Things have to get done and that means that something has to get dropped. Unfortunately, that’s always learning and research. In a field that is always changing, our knowledge and skills have to change to. We expect paper conservators to stay up to date with the current treatments, tools and chemicals. We also expect them to rigorously test and experiment before treating any work on paper. We should expect a similar level of research and care for our digital collections. They can be damaged, altered and lost. Just because they can also be copied easily doesn’t mean they are safe from all of that. A look back into your personal digital life is likely proof enough of that. IT departments are not immune to permanent loss; many of them have yet to adopt good digital preservation practices and so are often at risk. In the face of resource constraints, it is always the knowledge of the community that gets things done. It’s the open, collaborative nature of a small group of people that means tools and idea are shared. Work is undertaken collectively and people are generous with their time and expertise. I’m not sure how digital preservation would advance any other way. As it is, it’s a real struggle to get decent investment in it. Even this project was built on collaboration, which underpins that it’s hard to do this in isolation. It’s sad to see that project collaboration coming to a close now; there are so many possibilities for working together in the future. And this is what draws me to digital preservation—knowing there are a lot of smarter, generous people to always learn from. Decisions around digital preservation might be hard to make, but make them. Sometimes there’s so much to do that conversations can jump from one thing to the next with little or no focus. Pick something and do it. There will always be more to consider—more collections, more processes, more tools, more people. The problem is that sometimes all we see are all of the problems and every one of them feels incredibly urgent. But looking to tackle all of the problems at once will likely bury you. I will point back again to the resource constraints, but also to the practicality that we cannot start off doing everything. If we could, the DPOC project and projects like it would never exist. The point is: we can’t. So be strategic. Look for the most important, the quick wins, the practicable: start there. Just don’t try to do it all; you may end up doing nothing. Now that the project is concluding, the question is: has digital preservation become business as usual at Bodleian Libraries? The answer is: we’re not quite there yet, but we’re still fighting for it. At the time of writing this post, there were are a number of technical projects starting to improve workflows. There will be more collaborative digital preservation work with the GLAM institutions. But all of it is project work. However, the fact that there are projects still happening at all gives me hope that we can keep advocating for a longer-term, sustainable programme. This message underpins every project and every report we deliver. That is a good place to start. The Memory Makers Conference was hosted at Amsterdam Museum in the Netherlands 29th-30th November. Bodleian Libraries’ Policy and Planning Fellow, Edith Halvarsson, attended. The Memory Makers conference in Amsterdam brought together training providers from the private, higher education and continuing education sector to discuss digital preservation skills, how to get them (and how to retain them). ‘The expectation gap’ is something which we have discussed in a roundabout way among the Fellows over the past years, but it was a presentation by Dr Sarah Higgins which really put words onto this phenomena for me. The notion of an ‘expectation gap’ also nicely frames why we need to think seriously about lifelong learning and competency frameworks. Sarah has been teaching Information Management to Masters Students at Aberystwyth University (Wales) for almost a decade and has been observing both the development of the programme and the career trajectories of students graduating into the field. In this time there’s been a growing gap between what employers expect of students in terms of digital preservation skills and what certified MA programmes can offer. The bodies which certify Information Management courses in the UK (CILIP and ARA) still only require minimal digital skills as part of their competency frameworks. This has made it challenging to argue for new and mandatory digital preservation related modules on UK MA programmes. MA programmes have definitely shifted to begin meeting the digital preservation challenge, but they are still at an early stage. So while UK Information Management courses continue to frame a lot of teaching around physical collections, the expectations of digital skills from organisations hiring recent graduates from these programmes has skyrocketed. This has made the gap between reality and fantasy even larger. There has been a growing trend for organisations to hire new graduates and expecting them to be the magic bullet; the readymade lone experts in all areas of digital preservation who do not require any further development or support ever again. Many of Sarah’s graduates who began working on digital preservation/curation/archiving projects after graduation were essentially ‘set up to fail’ – not a nice or fair place to be at in your first job. To meet the challenge of unclear competency expectations, Sharon McMeekin (Head of Training and Skills at DPC) called for continued development of skills frameworks such as DigCurV. While DigCurV has been immensely valuable (we have for example drawn on it continuously in the DPOC project), the digital preservation field has matured a lot over the past couple of years and new learnings could now be incorporated into the model. A useful new addition to DigCurV, Sharon argued, would be to create more practitioner levels which reflects the expected skills progressions over 1-10 years for new graduates entering the field. If such frameworks were taken on by certifying bodies, it could potentially temper both unrealistic job descriptions and help staff argue for professional development opportunities. In her talk, Sarah strongly argued that we should expect recent Information Management graduates to also require more workplace based training after graduation. A two-year MA programme is not the endpoint for learning, especially in a quickly moving and developing field. This means that ongoing learning opportunities must also be considered by hiring organisations. It was refreshing to hear form the British Library who strongly subscribe to this idea. The British Library team teach introductory courses on digital preservation and drop in lab sessions for all library staff on a yearly basis. But the digital preservation team also engages with a wide range of training opportunities that are perhaps not considered traditional Information Management skills. Maureen Pennock (Head of Digital Preservation at the BL) argued that skills for digital preservation are not necessarily unique to the field, and can be acquired in places which you may not initially have consider. Such skills include project management, social media management, presentation delivery, and statistical analysis. Although it should be noted that Maureen also strongly stated that no one person should be expected to be an expert in all these areas at the same time. Another set of presentations which I really enjoyed was focused on “collaborative learning”. Puck Huijtsing (Netwerk Oorlogsbronnen) challenged why we are so attached to lecture style learning which we are familiar with from school and higher education. She argued that collaborative learning has been shown to be a successful model when training people to take on a new craft (and she believes that digital preservation is a craft). Puck went on to elaborate on Amsterdam’s strong history of craft guilds and how these taught and shared new skills, arguing that it could potentially be a more accessible and sustainable model for workplace based training. A number of successful training models presented by the Netherland Institute for Sound and Visions then illustrated how collaborative hands-on workshops can be delivered in practices. In one workshop series delivered by the institute, participants were asked to undertake small projects which focused on discreet digital collection material which they had a pre-existing relationship with. The institutes research indicates that this model is successful in aiding retention and uptake of digital preservation and archiving skills. These are workshops which we are also keen to test out at Bodleian Libraries next year to see if they are received well by staff. It is clear from the Memory Makers conference that there are a lot of people out there who care about learning and professional development in the digital preservation field. This blog only summarises a small section of all the excellent work that was presented over 1.5 days, and I would encourage others to look at presentation slides and the Twitter hash for the event (#MemoryMakers18) if this is a topic which interests you as well. Sarah, Oxford’s Outreach and Training Fellow, has been busy since the new year designing and a running a digital preservation training programme pilot in Oxford. It consisted of one introductory course on digital preservation and six other workshops. Below is an update on what she did for the pilot and what she has learnt over the past few months. It’s been a busy few months for me, so I have been quiet on the blog. Most of my time and creative energy has been spent working on this training programme pilot. In total, there were seven courses and over 15 hours of material. In the end, I trialled the courses on over 157 people from Bodleian Libraries and the various Oxford college libraries and archives. Many attendees were repeats, but some were not. The trial gave me an opportunity to test out different ideas and various topics. Attendees were good at giving feedback, both during the course and after via an online survey. It’s provided me with further ideas and given me the chance to see what works or what doesn’t. I’ve been able to improve the experience each time, but there’s still more work to be done. However, I’ve already learned a lot about digital preservation and teaching. Below are some of the most important lessons I’ve learned from the training programme pilot. I found that I almost always ran out of time at the end of a course; it left no time for questions or to finish that last demo. Most of my courses could have either benefited from less content, shorter exercises, or just being 30 minutes longer. Based on feedback from attendees, I’ll be making adjustments to every course. Some will be longer. Some will have shorter exercises with more optional components and some will have slightly less content. While you might budget 20 minutes for an activity, you will likely use 5-10 minutes more. But it varies every time due to the attendees. Some might have a lot of questions, but others will be quieter. It’s almost better to overestimate the time and end early than rush to cover everythhing. People need a chance to process the information you give them. In only one of my courses did I have to facilitate alone. I was run off my feet for the 2 hours because it was just me answering questions during exercises for 15 attendees. It doesn’t sound like a lot, but I had a hoarse voice by the end from speaking for almost 2 hours! load programs and files onto computers—and then help delete them after. It is possible to run training courses alone, but having an extra person makes things run smoother and saves a lot of time. Edith and James have been invaluable support! Demos were vital to illustrate concepts, but they were also sometimes clunky and time consuming to manage. I wrote up demo sheets to help. The demos relied on software or the Internet—both which can and will go wrong. Patience is key; so is accepting that sometimes things will not go right. Processes might take a long time to run or the course concludes before the demo is over. The more you practice on the computer you will be using, the more likely things will go right. But that’s not always an option. If it isn’t, always have a back up plan. Or just apologise, explain what should have happened and move on. Attendees are generally forgiving and sometimes it can be turned into a really good teaching moment. Unless you put out a questionnaire beforehand, it is incredibly hard to judge the skill level of your attendees. It’s best to prepare for all levels. Start each exercise slow and have a lot of optional work built in for people that work faster. In most of my courses I was too ambitious for the time allowed. I wanted them to learn and try everything. Sometimes I wasn’t asking the right questions on the exercises either. Testing exercises and timing people is the only way to tailor them. Now that I have run the workshops and seen the exercises in action, I have a clearer picture of what I want people to learn and accomplish—now I just have to make the changes. There were courses I would love to run in the future (like data visualisation and digital forensics), but I did not have the time to develop. I’d like to place them on a roadmap for future training. As well as reaching out more to the Oxford colleges, museums and other departments. I would also like to tailor the introductory course a bit more for different audiences. I’d like to get involved with developing courses like Digital Preservation Carpentry that the University of Melbourne is working on. The hands-on workshops excited and challenged me the most. Not only did others learn a lot, but so did I. I would like to build on that. At the end of this pilot, I have seven courses that I will finalise and make available through a creative commons licence. What I learned when trying to develop these courses is that there isn’t always a lot of good templates available on the Internet to use as a starting point—you have to ask around for people willing to share. So, I am hoping to take the work that I’ve done and share it with the digital preservation community. I hope they will be useful resources that can be reused and repurposed. Or at the very least, I hope it can be used as a starting point for inspiration (basic speakers notes included). These will be available via the DPOC website sometime this summer, once I have been able to make the changes necessary to the slides and exercises—along with course guidance material. It has been a rewarding experience (as well as an exhausting one); I look forward to developing and delivering more digital preservation training in the future. Thursday 11th January saw the Cambridge University Library’s annual conference take place. This year, it was entitled ‘Breakthrough the Library’, and focused on cutting-edge innovation in libraries and archives. I can honestly say that this was the first ever conference I’ve been to where every single speaker I saw (including the ten or so who gave lightning talks) were absolutely excellent. So it’s hard to pick the one that made the most impression. Of course, an honourable mention must go to the talk about Jasper the three legged cat, but if I had to plump for the one that was most pertinent to moving Digital Preservation forward, I’d have picked “Library Carpentry: software and data skills for librarian professionals”, from Dr James Baker of the University of Sussex. Stage 1: I know nothing. This computer is a bit weird and confuses me. Stage 2: I know EVERYTHING. I can make this computer sing and dance, and now I have the power to conquer the world. Stage 3: … er – hang on… The computer might not have been doing exactly what I thought it was, after all… Ooops! What did I just do? Stage 1 is just something you get through (if you want – I have nothing but respect for happy Stage 1 dwellers, though). If so inclined, all it really takes is a bit of persistence and a dollop of enthusiasm to get through it. If you want to but think you might struggle, then have a go at this computer programming aptitude test from the University of Kent – you may be pleasantly surprised… In my own case, I got stuck there for quite a while until one day a whole pile of O Level algebra that was lurking in my brain suddenly rose out of the murk, and that was that. When I asked Dr Baker about this issue, he reassured me that ‘questioning whether the computer has done what you expected’ is a core learning point that is central to Library Carpentry, too. He also declared the following (which I’m going to steal): “I make a point of only ever working with people with Impostor Syndrome”. Hence it really does look as if getting to Stage 3 without even going through Stage 2 at all is what Library Carpentry is all about. I believe moves are afoot to get some of this good stuff going at Cambridge… I watch with interest and might even be able to find the time to join in..? I bet it’ll be fun. 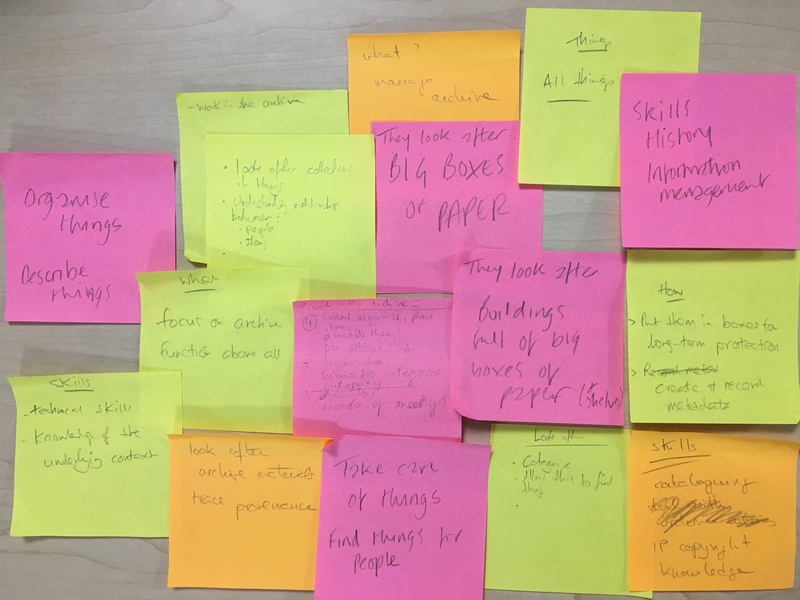 Cambridge Outreach and Training Fellow, Lee, describes the rationale behind trialling a recent workshop on archival science for developers, as well as reflecting on the workshop itself. Its aim was to get those all those working in digital preservation within the organisation to have a better understanding of each other’s work to improve co-operation for a sustainable digital preservation effort. Quite often, there is a perceived language barrier due to the wide range of practitioners that work in digital preservation. We may be using the same words, but there’s not always a shared common understanding of what they mean. This became clear when I was sitting next to my colleague, a systems integration manager, at an Archivematica workshop in September. Whilst not a member of the core Cambridge DPOC team, our colleague is a key member of our extended digital preservation network at Cambridge University Library a is a key member for development for understanding and retaining digital preservation knowledge in the institution. For those from a recordkeeping background, the design principles behind the front end of Archivematica should be obvious, as it incorporates both traditional principles of archival practice and features of the OAIS model. However, coming from a systems integration point of view, there was a need to have to translate for my colleague words such as ‘accession’, ‘appraisal’ and ‘arrangement’, which many of us with archival education take their meanings for granted. I asked my colleague if an introductory workshop on archival science would be useful, and she said, “yes, please!” Thus, the workshop was born. Last week, a two and a half hour workshop was trialled for members of our developer and systems integration colleagues. The aim of the workshop was to enable them to understand what archivists are taught on postgraduate courses and how this teaching informs their practice. After understanding the attendees’ impressions of an archivist and the things that they do (see image) the workshop then practically explored how an archivist would acquire and describe a collection. The workshop was based on an imaginary company, complete with a history and description of the business units and examples of potential records they would deposit. There were practical exercises on making an accession record, appraising a collection, artificial arrangement and subsequent description through ISAD(G). Sticky notes about archivists from a developer point of view. Having then seen how an archivist would approach a collection, the workshop moved into explaining physical storage and preservation before moving onto digital preservation, specifically looking at OAIS and then examples of digital preservation software systems. One exercise was to get the attendees to use what they had learned in the workshop to see where archival ideas mapped onto the systems. The workshop tried to demonstrate how archivists have approached digital preservation armed with the professional skills and knowledge that they have. The idea was to inform to teams working with archivists and the digital preservation of how archivists think and how and why some of the tools and products are design in the way that they are. My hope was for ‘IT’ to understand the depth of knowledge that archivists have in order to help everyone work together on a collaborative digital preservation solution. Feedback was positive and it will be run again in the New Year. Similarly, I’m hoping to devise a course from a developer perspective that will help archivists communicate more effectively with developers. Ultimately, both will be working from a better level of understanding each other’s professional skill sets. Co-operation and collaboration on digital preservation projects will become much easier across disciplines and we’ll have a better informed (and relaxed) environment to share practices and thoughts. The second instalment of Lee’s experience running a skills audit at Cambridge University Library. He explains what is needed to be able to transcribe the lengthy and informative interviews with staff. There’s no ground-breaking digital preservation goodness contained within this post so you have permission to leave this page now. However, this groundwork is crucial to gaining an understanding of how institutions can prepare for digital preservation skills and knowledge development. It may also be useful to anyone who is preparing to transcribe recorded interviews. 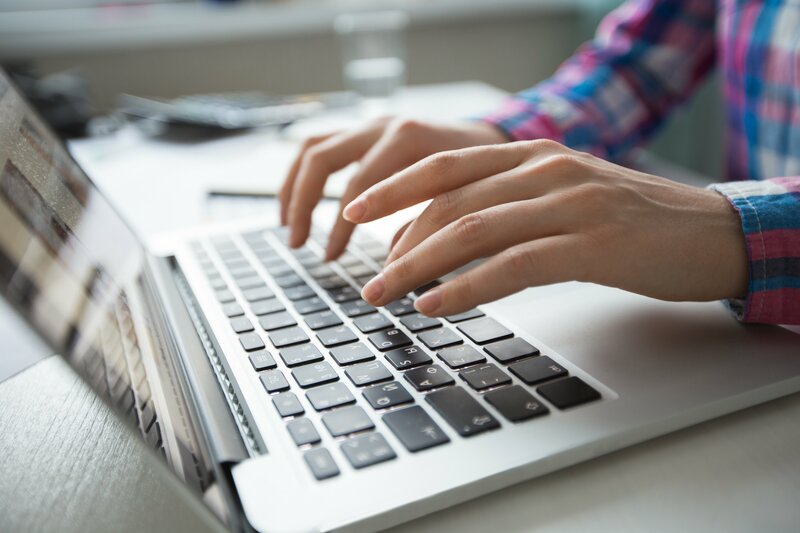 Once you have interviewed your candidates and made sure that you have all the recordings (suitably backed up three times into private, network free storage like an encrypted USB stick so as to respect privacy wishes), it is time to transcribe. A very quiet room. Preferably silence, where there are no distractions and where you can’t distract people. You may wish to choose the dictation path and if you do that in an open plan office, you may attract attention. You will also be reciting information that you have assured will remain confidential. Audio equipment. You will need a device that can play your audio files and has an audio control player built into it. You can use your device’s speakers, headphones, preferably with a control device built into the wire, or foot pedal. Understanding. The understanding that this will rule your working life for the next month or two and the understanding of those around the size of the task of what you are doing. To have an advocate who has experience of this type of work before is invaluable. Simple transcription rules. Given the timeframes of the project, complex transcription would have been too time consuming. Please see the following work below, as used by the University of California, San Diego, it’s really useful with nice big text. (Last accessed: 27.06.2017). ISBN: 978-3-8185-0497-7. Using a Mac environment, I imported the audio files for transcription into a desktop folder and created a play list in iTunes. I reduced the iTunes application to the mini player view and opened up Word to type into. I plugged in my headphones and pressed play and typed as I was listening. If you get tired typing, the Word application on my Mac has a nifty voice recognition package. It’s uncannily good now. Whilst I tried to route the output sound into the mic by using Soundflower (I wasted time doing this as when the transcription did yield readable text, it used words worthy of inciting a Mary Whitehouse campaign) I did find that dictation provided a rest for weary fingers. After a while, you will probably need to rest a weary voice, so you can switch back to typing. When subjects starting talking quickly, I needed a way to slow them down as constantly pressing pause and rewind got onerous. A quick fix for this was to download Audacity. This has the function to slow down your sound files. Once the comedic effect of voice alteration has worn off, it becomes easier to transcribe as you don’t have to pause and rewind as much. Process wise, it doesn’t sound much and it isn’t. It’s just the sheer hours of audio that needs to be made legible through listening, rewinding an typing. How can the process be made (slightly) easier? Investigate transcription technology and processes. Investigate technologies available beforehand that you can access. I wish I had done this rather than rely on the expectation that I would be just listening and typing. I didn’t find a website with the answer but a thoughtful web search can help you with certain parts of the transcription method. Even if you choose to incorporate the suggestions above, be under absolutely no illusions: transcription is a gruelling task. That’s not a slight against the participants’ responses for they will be genuinely interesting and insightful. No, it’s a comment on the frustration of the process and sheer mental grind of getting through it. I must admit I had only come to a reasonably happy transcription method by the time I had reached number fourteen (of fifteen). However, the effort is completely worth it. In the end, I now have around 65,000 quality words (research data) to analyse to understand what existing digital skills, knowledge, ways of learning and managing change exist within my institution that can be fed into the development of digital preservation skills and knowledge. Cambridge Outreach & Training Fellow, Lee, shares his experiences in skills auditing. As I am nearing the end of my fourteenth transcription and am three months into skills interview process, now is a good time to pause and reflect. This post will look at the experience of the interview process using the DPOC digital preservation skills toolkit. this toolkit is currently under development; we are learning and improving it as we trial it at Cambridge and Oxford. in what department or library do they work? is there a particular bias of colleagues from a certain department or library and can this be redressed? is there a suitable practitioner to manager ratio? The criteria relies on you having a good grasp of your institution, its organisation and the people within it. If you are unsure, start asking managers and colleagues who do know your institution very well—you will learn a lot! It is also worth having a longer list than your intended maximum in case you do not get responses, or people are not available or do not wish to participate. Prior to sending out invitations, the intended participant’s managers were consulted to see if they would agree to their staff time being used in this way. This was also a good opportunity to continue awareness raising of the project as well as getting buy-in to the the interview process. The interviews were arranged in blocks of five to make planning around other work easier. The DPOC semi-structured skills interview questions were put to the test at this step. Having developed the questions beforehand ensured I covered the necessary digital preservation skills during the interview. Here are some tips I gained from the interview process which helped to get some great responses. Offer refreshments before the interview. Advise beforehand that a generous box of chocolate biscuits will be available throughout proceeding. This also gives you an excellent chance to talk informally to your subject and put them at ease, especially if they appear nervous. If using, make sure your recording equipment is working. There’s nothing worse than thinking you have fifty minutes of interview gold only to find that you’ve not pressed play or the device has run out of power. Take a second device, or if you don’t want the technological hassle, use pen(cil) and paper. Start with colleagues that you know quite well. This will help you understand the flow of the questions better and they will not shy away from honest feedback. Always have printed copies of interview questions. Technology almost always fails you. My next post will be about transcribing and analysing interviews. Outreach & Training Fellow, Lee, chronicles his visit with Sarah to meet CoSector’s Steph Taylor and Ed Pinsent. On Wednesday 29 March, a date forever to be associated with the UK triggering of Article 50, Sarah and Lee met with CoSector’s Stephanie Taylor and Ed Pinsent in the spirit of co-operation. For those that don’t know, Steph and Ed are behind the award-winning Digital Preservation Training Programme. Russell Square was overcast but it was great to see that London was still business as usual with its hallmark traffic congestion and bus loads of sightseers lapping up the cultural hotspots. Revisiting the University of London’s Senate House is always a visual pleasure and it’s easy to see why it was home to the Ministry of Information: the building screams order and neat filing. We were keen to speak to Steph and Ed to tell them more about the DPOC Project to date and where we were at with training developments. Similarly, we were also keen to learn about the latest developments from CoSector’s training plans and we were interested to hear that CoSector will be developing their courses into more specialist areas of digital preservation, so watch this space… (well at least, the CoSector space). It was a useful meeting because it gave us the opportunity to get instant feedback on the way the project is working and where we could help to feed into current training and development needs. In particular, they were really interested to learn about the relationship between the project team and IT. Sarah and I feel that because we have access to two technical IT experts who are on board and happy to answer our questions—however simple they may be from an IT point of view—we feel that it is easier to understand IT issues. Similarly, we find that we have better conversations with our colleagues who are Developers and Operations IT specialists because we have a linguistic IT bridge with our technical colleagues. It was a good learning opportunity and we hope to build upon this first meeting in the future as a part of sustainable training solution. Outreach & Training Fellow, Sarah, has officially begun training and capacity building with session on personal digital archiving at the Bodleian Libraries. Below Sarah shares how the first session went and shares some personal digital archiving tips. Early Tuesday morning and the Weston Library had just opened to readers. I got to town earlier than usual, stopping to get a Melbourne-style flat white at one of my favourite local cafes – to get in me in the mood for public speaking. By 9am I was in the empty lecture theatre, fussing over cords, adjusting lighting and panicking of the fact I struggled to log in to the laptop. At 10am, twenty-one interested faces were seated with pens at the ready; there was nothing else to do but take a deep breath and begin. In the 1.5 hour session, I covered the DPOC project, digital preservation and personal digital archiving. The main section of the training was learning about personal digital archiving, preservation lifecycle and the best practice steps to follow to save your digital stuff! 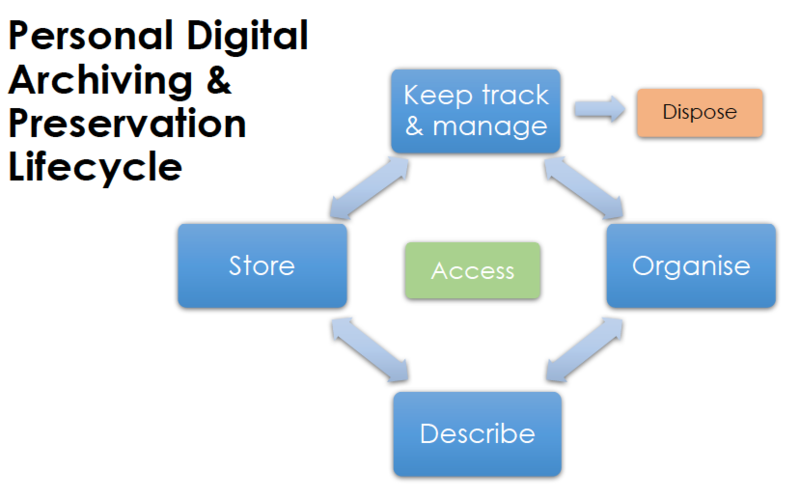 The steps of the Personal Digital Archiving & Preservation Lifecycle are intended to help with keeping your digital files organised, findable and accessible over time. It’s not prescriptive advice, but it is a good starting point for better habits in your personal and work lives. Below are tips for every stage of the lifecycle that will help build better habits and preserve your valuable digital files. Most importantly: delete or dispose of things you no longer need. This includes: things with no value, duplicates, blurry images, previous document versions (if not important) and so on. Consider saving the ‘Creation Date’ in the file name, a free text field in the metadata, in the document header or in a README text file if it is important to you. In some cases transferring the file (copying to new media, uploading to cloud storage) will change the creation date and the original date will be lost. The same goes for saving as a different file type. Always test before transfer or ‘Save As’ actions or record the ‘Creation Date’ elsewhere. do annual spot checks, including checking all backups. This will help check for any loss, corruption or damaged backups. Also consider checking all of the different file types in your collection, to ensure they are still accessible, especially if not saved in a recommended long-term file format. Even I can admit I need better personal archiving habits. How many photographs are still on my SD cards, waiting for transfer, selection/deletion and renaming before saving in a few choice safe backup locations? The answer is: too many. Perhaps now that my first training session is over, I should start planning my personal side projects. I suspect clearing my backlog of SD cards is one of them. 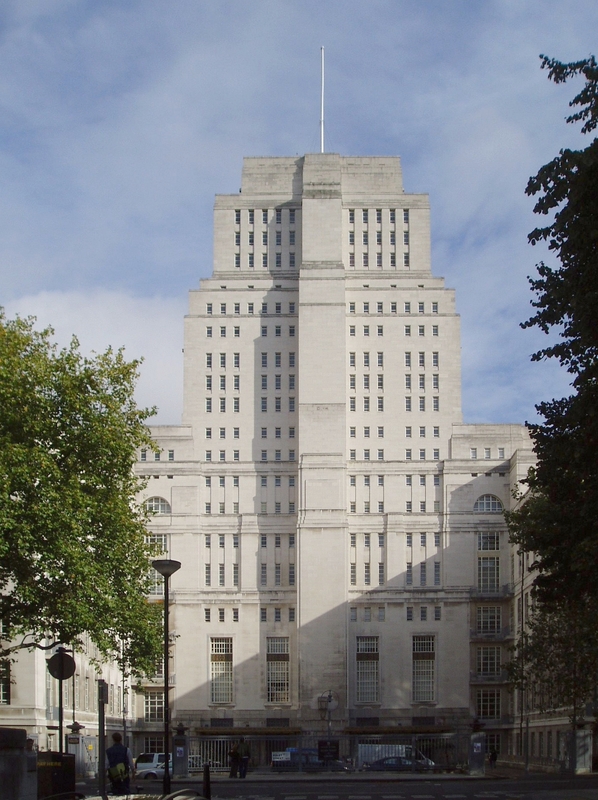 At the end of January, I went to the Chancellor’s Hall at the University of London’s Art Deco style Senate House. Near to the entrance of the Chancellor’s Hall was Room 101. Rumours circulated amongst the delegates keenly awaiting the start of the conference that the building and the room were the inspiration for George Orwell’s Nineteen Eighty-Four. The take away lesson from the day, is just do something, don’t be afraid to start. Sharon McMeekin showed us how much the DPC can help (see their new website, it’s chock full of digital preservation goodness) and Steph Taylor from CoSense showed us that you can achieve a lot in digital preservation just through keeping an eye on emerging technologies and that you spend most of your time advocating that digital preservation is not just backing up. Steph also reinforced to the student delegation that you can approach members of the digital preservation community, they are all very friendly! From the afternoon session, Dave Thompson reminded those assembled that we also need to think about the information age that we live in, how people use information, how they are their own gatekeepers to their digital records and how recordkeepers need to react to these changes, which will require a change in thinking from traditional recordkeeping theory and practice. As Adrian Brown put it for digital archivists, “digital archivists are archivists with superpowers”. One of those superpowers is the ability to adapt to your working context and the technological environment. Digital preservation is a constantly changing field and the practitioner needs to be able to adapt and change to the environment around them in a chameleon like manner to get their institution’s work preserved. Jennifer Febles reminded us that is also OK to say that “you don’t know” when training people, you can go away and learn or even learn from other colleagues. As for the content of the day, there were no real gaps, the day programme was spot on as far as I could tell from the delegates. Whilst reflecting on the event on the journey back on the train (and whilst simultaneously being packed into the stifling hot carriage like a sweaty sardine), the one thing that I really wanted to find out was what the backgrounds of the delegates were. More specifically, what ‘information schools’ they were attending, what courses they were undertaking, how much their modules concerned digital recordkeeping and their preservation, and, most importantly, what they are being taught in those modules. My thoughts then drifted towards thinking of those who have been given the label of ‘digital preservation experts’. They have cut their digital preservation teeth after their formal qualifications and training in an ostensibly different subject. Through a judicious application and blending of discipline-specific learning, learning about related fields they then apply this learning to their specific working context. Increasingly, in the digital world, those from a recordkeeping background need to embrace computer science skills and applications, especially for those where coding and command line operation is not a skill they have been brought up with. We seem to be at a point where the leading digital preservation practitioners are plying their trade (as they should) and not teaching their trade in a formal education setup. A very select few are doing both but if we pulled practitioners into formal digital preservation education programmes, would we then drain the discipline of innovative practice? Should digital preservation skills (which DigCurV has done well to define) be better suited to one big ‘on the job’ learning programme rather than more formal programmes. A mix of both would be my suggestion but this discussion will never close. Starting out in digital preservation may seem terribly daunting, with so much to learn as there is so much going on. I think that the ‘information schools’ can equip students with the early skills and knowledge but from then on, the experience and skills is learned on the job. The thing that makes the digital preservation community standout is that people are not afraid to share their knowledge and skills for the benefit of preserving cultural heritage for the future.